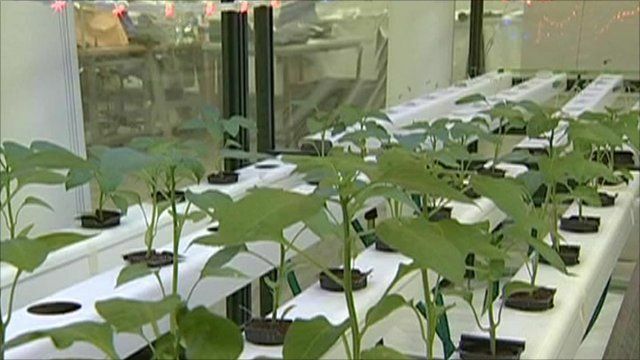 Scientists working with astronauts on the International Space Station are "very pleased" with the results of a small food-growing trial. Italian and American scientists say plants can be grown without the Earth's gravity, using specialised water, soil and light techniques. Duncan Kennedy reports from Rome.